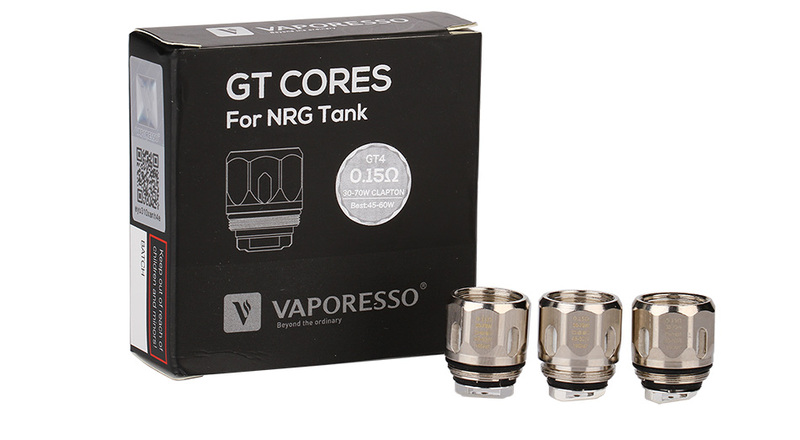 NRG GT Core Coil by Vaporesso is designed for NRG/ NRG SE tanks. We provide GT2, GT4, GT6, GT8 GT MESH and GT CCELL coils for your selection. GT2 is a 0.4ohm coil to give you the best performance of 55-65W. GT4 is a 0.15ohm coil to give you the best performance of 45-60W. GT6 is a 0.2ohm coil with best performance of 70-90W. GT8 is 0.15ohm with best performance of 60-110W. GT CCELL is a 0.5ohm Ceramic coil with best performance of 20-35W. GT MESH is a 0.18ohm mesh coil with best best performance of 50-90W. 3pcs each pack. Get them as spare part. GT CCELL Ceramic: 0.5ohm (20-35W) Can be used in temp Mode! The Vaporesso GT Mesh Replacement Coil is one of the most innovative coils on the market today. Designed to be compatible with most Vaporesso sub-ohm tanks, this coil improves flavor and vapor production while boasting impressive longevity. Mesh material ensures an even distribution of heat that improves your vaping sessions in every way. The resistance level of 0.18-ohms operates most efficiently when the wattage of your vaping device is set between 65 and 75. These coils won’t burn out after just a few uses. This is because of the mesh material that increases the heating surface area. Plus, they are made with high-quality organic cotton that distributes your e-liquid evenly. It’s for Vaporesso NRG tank, NRG Mini tank, NRG SE tank, Revenger kit and Swag kit. With a GT Core Adapter, these GT series coils also can be used in Cascade Tank.